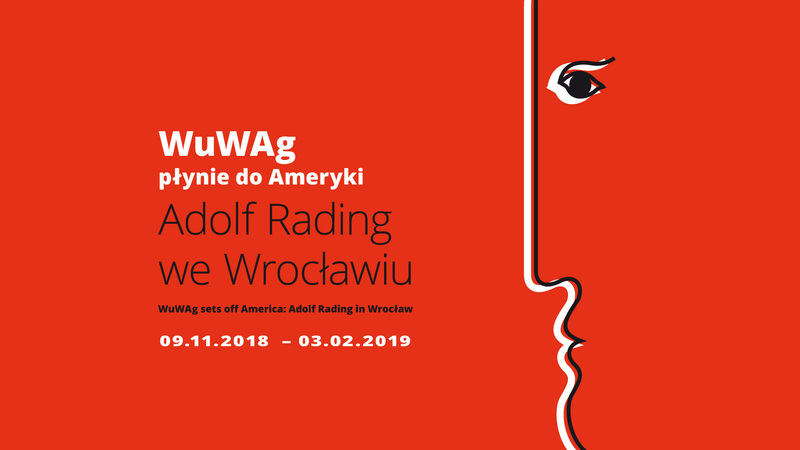 Museum of Architecture in Wroclaw would like to invite you to an exhibition devoted to the work of Adolf Rading, one of the key and least-recognized architects of modernist Wroclaw. “Attention! Attention! We’re speaking to you from Wroclaw and Gliwice. Ladies and Gentlemen, we announce that the Silesian Broadcasting will provide you with detailed coverage of the departure of the Wuwag oceanic steamboat. (…) Our announcer will take up position on the tower of the Church of the Holy Cross and will present you his impressions while the ship passes the Cathedral Island”- journalist Rudolf Hillebrand wrote mockingly in his article from 1930. The satirical story of a passenger ship created as part of the Werkbund exhibition in Wroclaw entitled “Living and Work Space” (Wohnung und Werkraum - Wuwa) was a response to the criticism of the model housing estate. The abovementioned steamboat referred to the community house (Turmhaus) designed by Rading in 1929, resembling a ship with railings and terraces on the roofs. The Berlin-based Adolf Rading (1888-1957), an architect and a lecturer at the Wroclaw Academy of Arts and Crafts, was one of the most important figures of the Wroclaw architectural community during the inter-war years. The fact that Wroclaw was considered to be the city of the avant-garde during the Weimar period was largely due to his works. In architecture - both in terms of designs and in theoretical journals - he was interested in the problems of the “new apartment” and “new construction” in the urban context. Examples of him trying to tackle these issues were designs of experimental residential buildings, presented in the model housing estates of the German Werkbund in Stuttgart (1927) and Wroclaw (1929). He was also the designer of the Odd Fellow Lodge (later transformed into Lviv Cinema, built in 1925-27), a representative building used for meetings and social gatherings of the Masonic lodge in Wroclaw. In 1925, together with Hans Leistikov, author of the polychromes in the building, he rebuilt the Pod Murzynem pharmacy at today’s Solny Square, creating an unusual interior composition of colors, mirrors and glass. As a result of the further reconstruction and merging the pharmacy with the neighboring building, an avant-garde accent was created in the historical center of the city. The radicalization of political and social life as well as personal experiences after the takeover of power by national socialists led Rading to leave Germany in autumn 1933. After staying in France and Palestine, where his work included the urban design of the city of Haifa, he died in London in 1957. He never returned to his home country. The exhibition presents architectural designs, archival photographs and models of Rading’s most important projects in Wroclaw. The arrangement of the exhibition is also inspired by his designs and copies the original color scheme of Dr. Arnold Kriebel’s house interior in Wroclaw, designed by Rading in 1927. Opening of the exhibition coincides with the time when the two most important architectural realizations in Wroclaw, the community house and the Odd Fellow Lodge, are awaiting restoration. For this reason, it is particularly important to recall the achievements of the architect and the original appearance, architectural values and the importance of his designs. The curator of the exhibition is the director of the Museum of Architecture, Dr. Jerzy Ilkosz. The exhibition is accompanied by a publication in Polish and German. The event is under the patronage of the European Year of Cultural Heritage 2018.